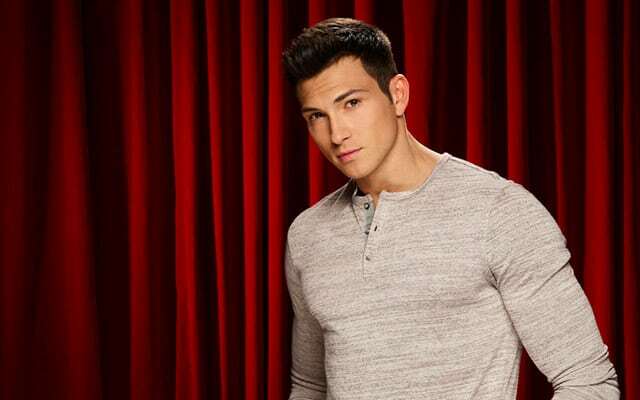 You met the three finalists for the next male model search currently underway at CBS’ “The Price is Right,” via their appearance on the Monday, December 1 edition of CBS’ “The Talk,” but what does the game show’s first male model, Robert Scott Wilson (Ben Ridgeway, “Days of our Lives”; ex-Pete Cortlandt, “All My Children”) have to say about another person taking on his former daytime role? The actor recently spoke with Soap Opera Network about his experience on the game show, what it was like helping judge the competition, and responds to comments made about him by “Price is Right” executive producer, Mike Richards. When we spoke with EP Mike Richards early on in the competition about what the show was looking for in a male model, he couldn’t comment without first praising Wilson. “Whenever you’re the first of anything, you’re always going to be the tough act to follow. Do we want someone that is as natural and charismatic and good looking as Rob on our show? Yes. Do we want another Rob? Probably not. Because we want someone different. What was so great about Rob was that he was Rob,” said Richards. Voting for the next male model search is open now through Friday, December 5 at 8:00 ET/5:00 PM PT. To vote, or to learn more about the competition rules, visit priceisright.com.